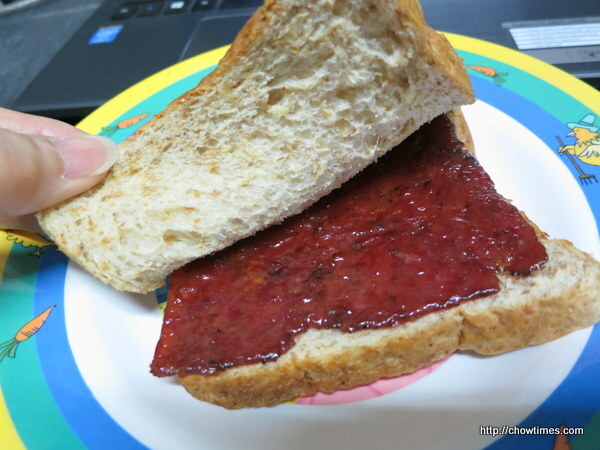 I had a simple brunch of dried meat sandwich at home. During Chinese New Year, a lot of people buy dried meat as gift. The sandwich is a pretty handy meal. It’s easily transportable without messiness and the bread will not get soggy. You can even assemble the sandwich only when you want to eat it because nowadays, the dried meat is mostly pack individually for freshness. 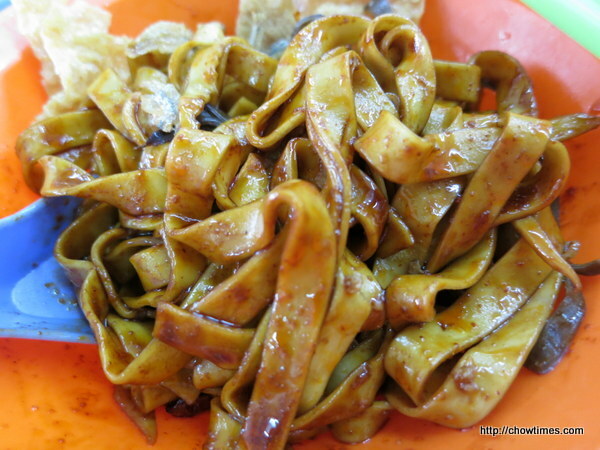 For dinner, I had a dried version of Pan Mee. 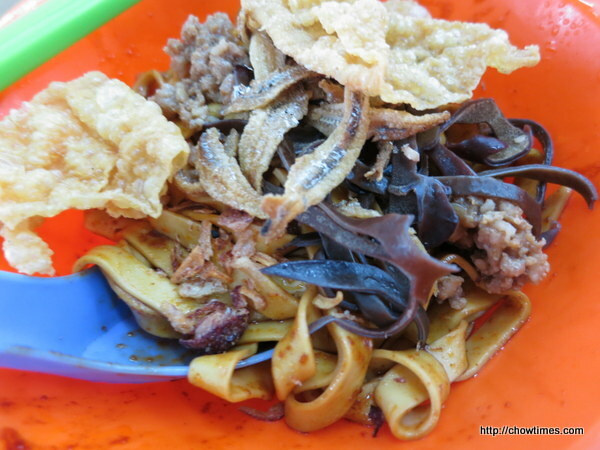 It is RM6.50 (about CAD2). Since I ordered the dried version, the broth came on the side. I asked for the thick cut noodle as I prefer the texture of thicker noodle. 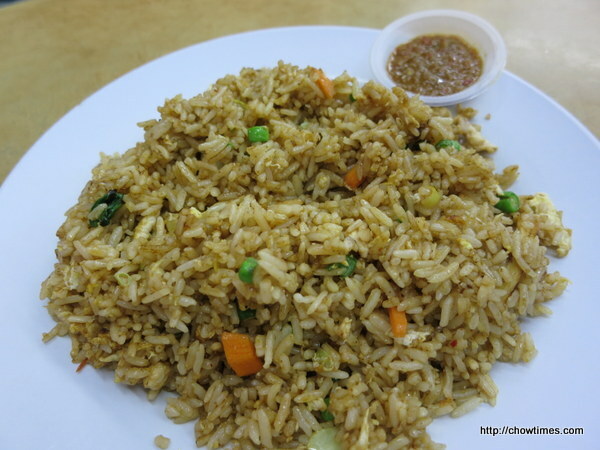 My niece had fried rice for RM6 (about CAD1.80). I was surprised that she can finished the whole plate because she is a small size girl. 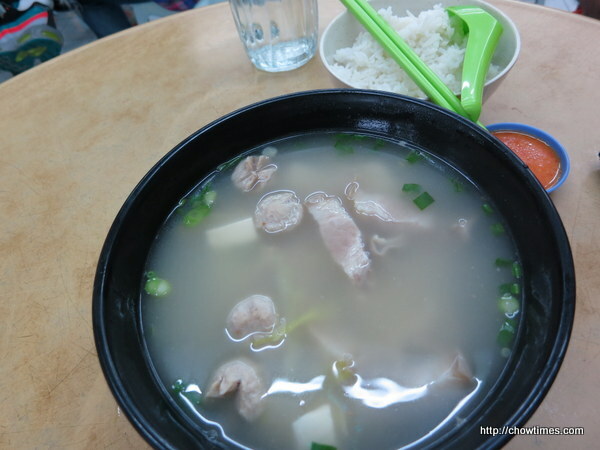 My father had Pork Stomach Soup, served with rice. 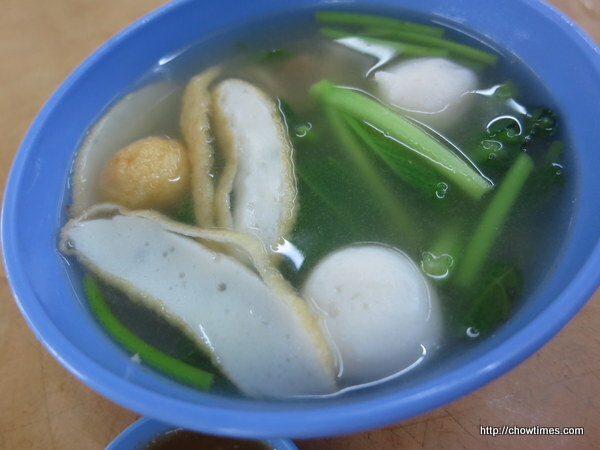 His soup was a little pricier at RM11 (about CAD3.50).